How can scientists act ethically when they are studying the victims of a human tragedy, such as the Romanian orphans? is a science journalist based in Brooklyn, New York. Her blog, Only Human, is published by National Geographic. We drove to the orphanage on a pleasant December morning, under a sky that seemed too blue. It was a short ride through a residential neighbourhood of Bucharest, littered with posters of politicians’ heads for the upcoming elections. Nervous, I mentally recited the two rules the American professor had given me the night before: no picking up the kids, and no crying in front of them. We pulled up to a dingy pink building, lined on all sides by tall wire fencing, and parked at the curb. After passing through the checkpoint of a stoic security guard, we stepped into an empty hallway. It was cleaner than I had expected; old plaster walls and chipped steps, yes, but no obvious filth. There was an overpowering smell of institutional food, like burned meatloaf. Over the next hour or so, the manager of the place — a short and affable 24-year-old guy — gave us a tour. He didn’t speak much English, but Florin Ţibu, a Romanian who works with the professor, translated for us. About 50 children and teenagers lived there, boys and girls ranging in age from about six to 18, and I saw just six adults: our tour guide, three female caregivers, and two cleaning ladies in white coats. The children weren’t in school because of the big holiday: Romania’s National Day, a celebration of the country’s unification in 1918. Perhaps a typical day wouldn’t have been so chaotic. Then again, Ţibu said, the kids always flock to new visitors. And flock they did. A boy in a red T-shirt and sweats skipped up to me, grabbed my hand, and wouldn’t let go. His head didn’t reach my shoulders, so I figured he was eight or nine years old. He was 13, Ţibu said. The boy kept looking up at me with an open, sweet face, but I found it difficult to return his gaze. Like most of the other kids, he had crossed eyes — strabismus, the professor would explain later, a common symptom of children raised in institutions, possibly because as infants they had nothing to focus their eyes on. A couple of dozen kids gathered around us in a tight circle, chirping and giggling loudly as children do. At one point they broke into a laughing fit, and I asked Ţibu what happened. They were gawking at the whiteness of my teeth, he said. Two of the girls, somewhere in that gaggle, were pregnant. We saw the kids’ bedrooms. Each had half a dozen mattresses lying on the floor and one television set. All the TVs were blaring old cartoons, some of the same ones I remember watching in my own childhood 25 years ago. Kid after kid dragged me proudly to see their room. Once, we walked in on a cleaning lady frantically sweeping, embarrassed by the cigarette butts, grey dirt, and insect carcasses all over the floor. One of the rooms held three or four older boys, still sleeping. They were heroin addicts, I would learn, and sometimes shot up in front of the younger children. After about half an hour of holding the sweet boy’s hand, I suddenly, urgently, needed to let go. I wriggled my fingers free, only to have him clutch them again. We Americans drove back to St Catherine’s, a sprawling complex of late 19th-century stone buildings and desolate courtyards that was once the largest orphanage in Bucharest. Today, it’s mostly office space, with rooms along one long hallway occupied by the professor’s team. We sat in one of them to talk about the morning visit. The professor is Charles Nelson, a neuroscientist from Harvard University who studies early brain development. In 1999, he and several other American scientists launched the Bucharest Early Intervention Project, a now-famous study of Romanian children who were mostly ‘social orphans’, meaning that their biological parents had given them over to the state’s care. At the time, despite an international outcry over Romania’s orphan problem, many Romanian officials staunchly believed that the behavioural problems of institutionalised children were innate — the reason their parents had left them there, rather than the result of institutional life. And because of these inherent deficiencies, the children would fare better in orphanages than families. The scientists pitched their study as a way to find out for sure. They enrolled 136 institutionalised children, placed half of them in foster care, and tracked the physical, psychological, and neurological development of both groups for many years. They found, predictably, that kids are much better off in foster care than in orphanages. Nelson has visited Bucharest 30 to 40 times since his first trip in 1999. Some things have changed: in 2007, Romania joined the European Union (EU). It has greatly expanded its state-funded foster-care system. The number of children in institutions — or ‘placement centres’, to use the preferred bureaucratic euphemism — has dropped dramatically. But other things haven’t changed. Romania is still a post-communist country suffering from high levels of poverty and corruption. It still has a weak medical and scientific infrastructure. It still has some 9,000 children — more than half of all the children in its child protection system — living in orphanages, like the boy who took my hand. Nelson never expected to be an advocate for orphans, or for anybody really: he’s a neuroscientist. In 1986, he launched his first laboratory at the University of Minnesota, which specialised in using electroencephalography (EEG) — a harmless technique for measuring brain waves via a soft skullcap of electrodes — on babies and toddlers. His field of developmental neuroscience got a surge of attention in April 1997, when Bill and Hillary Clinton put on a one-day meeting of researchers called ‘The White House Conference on Early Childhood Development and Learning: What New Research on the Brain Tells Us About Our Youngest Children’. The First Lady gave the gist of the meeting in her opening remarks: the first three years of life, she said, ‘can determine whether children will grow up to be peaceful or violent citizens, focused or undisciplined workers, attentive or detached parents themselves’. The conference was covered widely in the media. In the wake of all the hoopla, the Chicago-based John D and Catherine T MacArthur Foundation asked Nelson to lead a small group of scientists to dive more deeply into these topics. The resulting Research Network on Early Experience and Brain Development, fully launched in 1998, included 12 researchers who shared a plush budget of about $1.3 million a year. Nelson held the purse strings. The Network’s first studies used animals: baby mice that were either frequently or infrequently handled by their human caretakers; baby barn owls whose brain wiring changed dramatically after wearing prisms over their eyes; and most striking, baby rhesus macaque monkeys that had been separated from their mothers. Researchers had isolated monkeys before. In the 1960s, the American psychologist Harry Harlow famously reared baby monkeys in complete isolation for up to two years. The animals showed severe and permanent social deficits, bolstering the then-controversial idea that the maternal-child bond is crucial to healthy development. The Network scientists wanted to know whether the timing of the maternal separation made any difference. As the monkey data rolled in, Nelson was hearing about human social deprivation from his Minnesota colleague Dana Johnson, a neonatologist who had long worked on international adoptions. Johnson treated orphans from all over the world, but was most disturbed by those from Romania. Nelson invited Johnson to talk at a Network meeting in January of 1998. In a conference room of the Claremont Hotel in Oakland, California, Johnson switched off the lights and played the Network scientists a few disturbing movies of children in Romanian orphanages. Some kids were rocking and flailing and socially withdrawn; others were clingy. ‘We were all very teary-eyed,’ Nelson recalls. 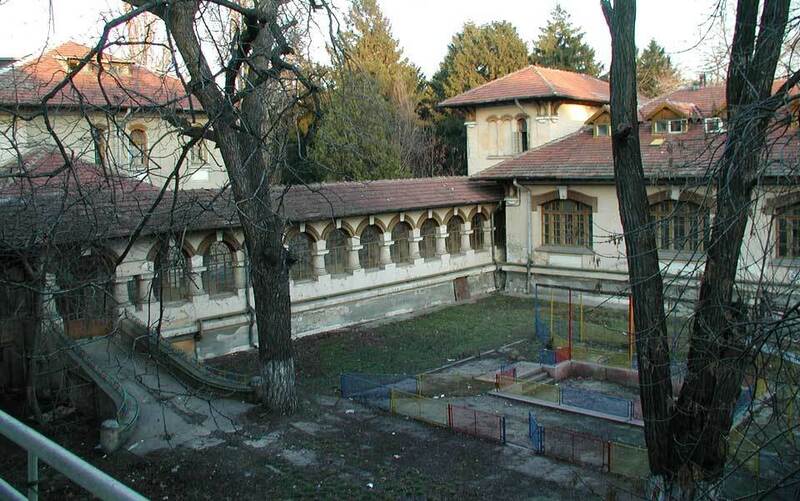 Romania has had orphanages for centuries. But its orphan crisis began in 1965, when the communist Nicolae Ceaușescu took over as the country’s leader. Over the course of his 24-year rule, Ceaușescu deliberately cultivated the orphan population in hopes of creating loyalty to — and dependency on — the state. In 1966, he made abortion illegal for the vast majority of women. He later imposed taxes on families with fewer than five children and even sent out medically trained government agents — ‘The Menstrual Police’ — to examine women who weren’t producing their quota. But Ceaușescu’s draconian economic policies meant that most families were too poor to support multiple children. So, without other options, thousands of parents left their babies in government-run orphanages. By Christmas day in 1989, when revolutionaries executed Ceaușescu and his wife by firing squad, an estimated 170,000 children were living in more than 700 state orphanages. As the regime crumbled, journalists and humanitarians swept in. In most institutions, children were getting adequate food, hygiene and medical care, but had woefully few interactions with adults, leading to severe behavioural and emotional problems. A handful of orphanages were utterly abhorrent, depriving children of their basic needs. Soon photos of dirty, handicapped orphans lying in their own excrement were showing up in newspapers across the world. ‘I was very taken with the kids in orphanages,’ Johnson says. Their condition ‘was a stunning contrast to most of the kids we were seeing come for international adoption who had been raised in foster homes’. In his presentation, Johnson had mentioned that the head of Romania’s newly formed Department for Child Protection, Cristian Tabacaru, was keen on closing down his country’s institutions. After seeing the movies, Network scientist Charles Zeanah, a child psychiatrist from Tulane University who specialised in infant-parent relationships, was gung-ho about meeting Tabacaru and setting up a humanitarian project. Eleven months after that emotional hotel meeting, Zeanah and his wife, a nurse and clinical psychologist, travelled to Romania and saw the orphans for themselves. During their first orphanage visit, the couple couldn’t help but start bawling in front of the kids. One child reached out to comfort them, saying: ‘It’s OK, it’s OK’. The Zeanahs also met with Tabacaru. He was eager to work with the MacArthur group because he thought that a rigorous scientific study could help his cause. ‘If there was scientific evidence to support the idea that foster care was better for kids, he thought he’d have more leverage with his political colleagues,’ Nelson told me. The data, in other words, could speak for the children. Two days before our visit to the orphanage, I accompanied Nelson to a homely green building that houses the psychology department of the University of Bucharest, where he holds an honorary doctorate. He had been invited by the Dean to give a talk on the ethics of human research. All reputable scientific institutions follow a few ethical principles to guide their human experiments: participants must give informed and unambiguous consent; researchers must thoroughly consider possible risks and benefits; the gains and burdens of research must be equally distributed to participants and society at large. These rules are largely unheard of in Romania, let alone enforced. In a packed auditorium, Nelson began his lecture by describing the fundamental moral dilemma facing all clinical studies. ‘The real goal of research is to generate useful knowledge about health and illness, not necessarily to benefit those who participate in the research,’ he said. That means, he added, that participants are at risk of being exploited. Nelson outlined the sad history of human rights violations done in the name of science. There was Josef Mengele, the Nazi physician who performed medical experiments — radiating, sterilising, infecting, and freezing identical twins, among other atrocities — on Auschwitz prisoners. Mengele escaped capture after the war, but 20 other Nazi doctors were tried in a US military tribunal in Nuremberg, Germany. The judges at these trials created a list of 10 ethical tenets for human research, known as the Nuremberg Code. These included voluntary consent, avoidance of suffering, and the right of the subject to end the experiment at any time. The Nuremberg Code provided the intellectual basis for the 1964 Declaration of Helsinki, the first ethics text created by the medical community and one that’s still updated frequently. It’s not legally binding, but thousands of research institutions use the declaration to guide their formal regulations and ethical review committees. Meanwhile, 1,000 miles south, other researchers were testing the natural history of untreated syphilis on hundreds of poor black men in Tuskegee, Alabama. The men were not only denied treatment for the disease, but had no idea they were sick. In 1972, the study’s 40th year, a whistle-blower scientist finally told the press about the effort, which had been sanctioned by the US Centers for Disease Control and Prevention. The Tuskegee syphilis experiment triggered a public uproar and a US Congressional investigation that ultimately shut down the research. ‘It became the standard bearer of unethical research,’ Nelson told the room of Romanian students. The MacArthur Network scientists spent the better part of a year hammering out the ethical parameters and experimental design of the project. They wanted to use the gold standard of clinical research design: a randomised controlled trial. This would allow them to objectively compare children given one intervention (foster care) with those given another (institutional care). For most randomised controlled trials, if one intervention proves to be better toward the beginning of the trial, researchers will call off the study and put all participants on that treatment. But that wouldn’t be an option for this study. The problem was that, with a few exceptions, foster care didn’t exist in Romania. That meant the scientists would have to create their own system, leading to a slew of sticky complications. How would they choose families and adequately train them? What was appropriate payment? What if a particular foster-care family was abusive, or otherwise didn’t work out? Was it fair to leave half of the children languishing in orphanages? What would happen to the children if the study (and its funding) ended? The team answered these questions with the help of non-governmental organisations (NGOs) in Romania that specialised in orphan care. They would recruit foster families through newspaper advertisements and put them through a rigorous training programme for parenting skills. They would pay the families well — 250 Romanian Lei per month (about $96 at the time), which was almost twice the minimum wage in Romania. And after that initial placement, the Department for Child Protection would be in charge of the children’s whereabouts, just as they were before. So, for example, if a biological mother came forward and wanted her child back, the department could opt to ‘reintegrate’ the child. Or if more foster homes were to become available, then the department could move children from the institutions into families. And if the project were to stop for any reason, the Romanian government had agreed to take over the payment of the foster-care families. Three of the MacArthur scientists — Nelson, Zeanah, and the psychologist Nathan Fox of the University of Maryland — stepped up as leaders of the project. After getting approval from ethics committees at each of their universities, the study launched a feasibility phase in November of 2000, and officially began collecting data in April 2001. The plan was to end the study after 42 months. The researchers set up a satellite lab in St Catherine’s, which at the time was still operating as a placement centre for about 500 children. The researchers hired half a dozen Romanians to follow the participants’ personal cases and collect data — on physical growth, IQ, psychological development, and later, EEG and brain scans — every few months. These Romanian researchers, many of whom are still part of the project, were intimately familiar with their country’s orphan problem. Take Anca Radulescu, who is now the project’s manager in Bucharest and the team’s mother hen. Radulescu was born in 1968, two years after Ceaușescu’s abortion ban, Decree 770. People born around this time are known as Decreţei: children of the decree. As a young girl, Radulescu remembers, her mother told her that despite her birth year, she was not one of the Decreţei — she was wanted. In 1997 Radulescu had begun working at St Catherine’s as a psychologist. She was hired thanks to new legislation — passed because Romania was trying to get into the EU — that moved the administration of orphans from the Ministry of Health to the newly created Department for Child Protection. The law marked the beginning of a philosophical change in the government’s treatment of orphans, with a new focus on nurture over nature. The transition was ‘a nightmare’, Radulescu says, because of the doctors who managed the institutions. They were dismissive of psychology and social work, both of which had been banned during Ceaușescu’s reign, and believed that the orphans’ problems were medical. They gave the children a physical exam nearly every day, and prescribed them sedatives at night. Meanwhile, the children weren’t getting the social interaction they desperately needed. They lived in units of 40 or 50 kids, each with about six adult caretakers who were kept busy preparing food and doing laundry. The kids were left in big rooms to play by themselves. In late 2000, Radulescu started working for the brand-new Bucharest Early Intervention Project, in offices just a few corridors away from those residential units. She and the rest of the team, working closely with Romanian NGOs, used newspaper advertisements to find foster-care families and never-institutionalised children (who would serve as community controls). The team screened 187 orphans from six Bucharest institutions, eventually choosing 136 who did not have major medical problems. The children ranged from six to 31 months old. They were randomly assigned to either foster care or the orphanage, with siblings kept together. In the end, 69 children went into foster care and 67 stayed in institutions. For its first couple of years, the Bucharest project rolled along smoothly and quietly. This was remarkable given the constant political turnovers (including one in which Tabacaru, the researchers’ government ally, was booted out). Then, in June of 2002, a crisis. The Bucharest lab had an unannounced, and unwelcome, visitor: Baroness Emma Nicholson. 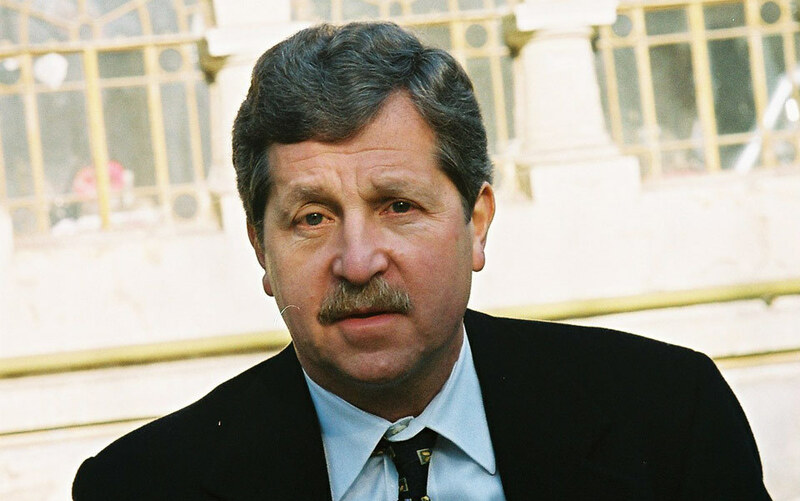 Nicholson, hailing from the village of Winterbourne in England, was a member of the European Parliament and had been appointed to represent Romania’s application into the EU. This made her a powerful figure in Romania, which had been trying to join the EU since 1993. She also happened to be an outspoken opponent of international adoptions, which she felt were avenues for child trafficking. Thanks to her influence, in 2001 Romania placed a moratorium on international adoptions. After Nicholson’s visit to the lab, she was quoted in several Romanian newspapers making damning accusations against the Bucharest project. ‘She goes to the press and says that we’re doing a study, using high-tech American measures, to identify the smartest orphans so we can sell them on the black market,’ Nelson told me one night, practically sputtering. Nicholson would deny that she ever accused the scientists of trafficking, but she continued to describe the MacArthur project as illegal and unethical. Although the claims were patently false, and no formal charges were ever made, the story was quickly picked up by international newspapers, including Le Monde and The New York Times. The BEIP project stayed under the radar until 8 June 2004, when Nelson’s team held a press conference to announce some exciting data. In the Hilton Hotel in Bucharest, with representatives from several Romanian ministries and the US ambassador in attendance, the researchers reported that, as expected, the 136 children who started in institutions tended to have diminished growth and intellectual ability compared with controls who had never lived outside of a family. But there was a surprising silver lining. Children who had been placed in foster care before the age of two years showed significant gains in IQ, motor skills, and psychological development compared with those who stayed in the orphanages. The scientists published these findings in 2007, in the prestigious journal Science. That paper is the most famous to come out of project, but it’s just one of nearly 60. Others have shown, for example, that toddlers who never left institutions have more repetitive behaviours than those who went into foster care. Long-institutionalised toddlers also show different EEG brainwave patterns when looking at emotional faces. As the children got older, the researchers gave them brain scans (renting out time with a private clinic’s MRI machine, one of only a handful in the country). These scans showed that, at around the age of eight, the children who grew up in institutions have less white matter, the tissue that links up different brain regions, compared with those in foster care. The researchers looked at the children’s genomes, too, and found that those who lived the longest in orphanages tend to have the shortest telomeres, the caps on the end of chromosomes that are related to lifespan. The project is now funded not only by the MacArthur Foundation, but by grants from the US National Institutes of Health (NIH) and the Binder Family Foundation. After 14 years, the Bucharest project is well-known and well-respected in the scientific community. At first, though, many scientists had concerns about its ethical design. For example, when the researchers first submitted their data to Science, the journal’s editor didn’t know what to make of its ethics. So she sent it to bioethicists at the NIH for a thorough review. ‘Even if you study ethics all the time, it turns out this is a very interesting ethical case,’ said Joseph Millum, one of the NIH bioethicists who reviewed it. As Millum and his colleague Ezekiel Emanuel would explain in a commentary published in the same issue of Science, they did not find the work to be exploitative or unethical. The Bucharest project study differs from most randomised control trials done in disadvantaged countries, Millum explained. Those tend to be studies of a new treatment — an antiretroviral drug to treat HIV in Africans, say. It’s ethical to put people through those trials because the researchers don’t know from the outset whether the drug will work. ‘The hope is that the new knowledge you get out of the study is then going to be useful in informing practice,’ Millum said. However, in the Bucharest project’s case, the researchers already knew from a multitude of studies in Western countries that foster care is better for children than institutionalised care — that’s why Western countries have so few institutions. So although the study could potentially answer lots of new, open questions, the one that justified its existence had already been answered. But realistically, how likely was it that the study would change anything? And once the study was over, were the scientists supposed to then become advocates for those policy changes? It’s complicated, Millum said. ‘People have different views about whether there is an obligation to provide successful interventions after a study is complete.’ If a medical study is taking place in Western Europe, for example, where there is a relatively robust health care system, then those health institutions will probably be the ones integrating the new data into policy, he says. But in an African country, for example, with no health care to speak of, the researchers might share more of the burden. In late May this year, exactly six months after my Bucharest trip, I had lunch with Nelson in Boston to catch up. I asked him whether he thought Romania’s orphan situation had changed much since he first learnt about it 14 years ago. After all, I pointed out, some of Romania’s most destructive policies regarding orphans are still in place. The international adoption moratorium was made permanent in 2005. Domestic adoption exists, but comes with onerous regulations. A taxi driver in Bucharest told me a story about friends of his, native Romanians, who have been trying to adopt a Romanian orphan for years. The regulations seem ridiculous; for example, children can’t be adopted until the state has attempted to make contact with all of their fourth-degree relatives. ‘There are two things that have changed,’ Nelson said: one good and one bad. The good: Romania has seen a significant drop in the rate of child abandonment and institutionalisation. On 23 June 2004, 15 days after the Bucharest project’s first big press conference, Romania passed Law 272/2004, stating that children younger than two are not allowed to be placed into residential facilities. The law has loopholes — children with severe handicaps can still be institutionalised, and young babies can still be left in maternity hospitals for their first few years — but it signifies a major change in attitude, and seems to have reduced the overall number of institutionalised children. It’s impossible to know how much credit the Bucharest project deserves for that law. The project was by then well known among Romanian officials. But there was another powerful force at work: Romania badly wanted to get into the EU, and the EU (thanks in large part to Baroness Nicholson) had demanded that Romania deal with its orphan problem. The Bucharest project data and the EU pressure were ‘like a perfect storm’, Nelson said. For all that they hope to change in Romania’s social policy, the researchers are more immediately concerned with the children in their study. These kids have known some of these researchers for as long as they can remember. Relationships have formed. Of the original 136 children the researchers recruited from institutions, 62 are now living with foster or adopted families, 31 were reintegrated with their biological parents, and just 17 are still living in institutions (of the rest, 10 live in ‘social apartments’, which are similar to group homes, and 16 dropped out of the study). All evidence suggests that these kids are no worse off today than they would have been had the study never existed. But that doesn’t mean they’re doing well. In the Bucharest lab, I met a 12-year-old project participant named Simona and her biological mother. Simona was the youngest of four children; when she was eight months old, her mother could no longer afford to keep her. So she dropped her off at St Catherine’s, where her older sister, an epileptic, had already been living for several years. Simona’s mother told me how difficult it was to give up her babies. She visited them every week, and was sad to see that they were often sick with a cold or a rash. When Simona was five years old, her mother was receiving enough financial assistance from the government to bring her back home. But those years in the institution took a toll: Simona has a sweet disposition, like her mother, but she’s very thin, and her IQ is 70. I next met 13-year-old Raluca, a strikingly pretty girl who went into foster care at 21 months old and has lived with the same family ever since. Raluca is stylish and intellectually sharp; her big eyes, unlike Simona’s, made frequent contact with mine. At first, I thought of Raluca as one of the lucky ones; she escaped the hell of the orphanage. But she has different problems. She’s defiant to her teachers and parents, and has started smoking and seeing older boys. Her foster mother has threatened to give her up. These two girls are doing relatively well. The Bucharest project’s staff is dealing with a handful of participants in more dire situations. While sitting in on a lab meeting, I heard a few examples: a girl who at age 10 was sexually attacked by her neighbour; a Roma girl who, at age 12, was returned to an orphanage because her foster-care mother said she was stealing, lying, and ‘had a gipsy smell’; another 12-year-old girl who was reintegrated with her grandparents and then, with their blessing, married a 12-year-old boy. The scientists worry that these sorts of horror stories will become more common as the children ride the rollercoaster of adolescence. And then there are the 17 participants who still live in orphanages. They’re slightly better off than the average institutionalised child, in that they get regular medical assessments and constant check-ins from the researchers. After doing a brain scan of one boy, for example, the researchers discovered a nasty infection hidden in the space behind his ear. These mastoid infections can be fatal, but the boy was fine after a round of antibiotics. Still, institutional life is undeniably miserable. During my visit to the orphanage, I chatted with a 14-year-old Bucharest project participant named Maria. Maria was abandoned at birth and spent her first four months in two different maternity hospitals. She’s been in orphanages ever since, moving every few years. She has a normal IQ, which means she’s far more resilient than others with her history. She was shy when we talked, and didn’t make much eye contact, but otherwise seemed like a normal girl. I asked Maria what she thought was the worst thing about living in the placement centre. She said it was the older boys who take drugs. And what about the best thing? I asked. She paused for about half a minute, looking down at her purple Crocs. The times we get to leave for a little while, when we can take the bus to the park, she said. When Nelson’s team first set up the Bucharest Early Intervention Project, the MacArthur Foundation gave them a separate pot of money to create a humanitarian institute in Bucharest. The goal of the so-called Institute of Child Development was to work with local officials and non-profits on orphan issues, as well as to train a new generation of Romanian researchers. The institute has put on several scientific and policy workshops, inviting hundreds of researchers from across the world. The last of these will probably take place in November. Then in December 2013, the MacArthur funding runs out, and it’s unclear whether the institute will continue under local direction. ‘We’re limited in our resources,’ says Elizabeth Furtado, who has been the Bucharest project’s manager since 2006 and visits the Bucharest lab about twice a year. Furtado has a four-year-old son. She copes with the job by compartmentalising; for example, she has very intentionally not read the full life histories of any of the participants. But sometimes the pain is unavoidable. She was with Nelson and me the day we visited the orphanage — her first time in an institution since becoming a mother. ‘It took me almost a month after coming back to get to a [point] where I could kind of let it go and focus on my relationship with my son,’ she told me. Nelson, too, has felt his share of emotional tension over this project, though he tends to downplay it (he often refers to being sad, for example, as having an ‘activated amygdala’). Like the Zeanahs, he wept on his first visit to St Catherine’s, in 1999, where he saw a room full of babies lying in cribs and staring at white ceilings while their adult caretakers chatted and smoked cigarettes in the corner. He remembers staring out the plane window for most of the long flight back. When he arrived at his house, he rushed to hug his bewildered teenage son. ‘You just feel grateful,’ he told me at our recent lunch. Over time, though, Nelson has become desensitised, holding on to the idea that scientific data will eventually pave the road for better social policy. This June, the researchers learnt that a grant they received from the NIH was renewed for another five years (a coup given recent cuts to the US federal budget). With that money, the team can track the children’s brain structures, cognitive skills, and emotional maturity from age 12 to 16 — a period that, despite major brain reorganisation, doesn’t get much attention in policy circles. And Nelson is in the process of setting up similar child intervention projects in other parts of the world, including Brazil and Chile. Some names have been changed to protect the identities of those mentioned in the article.